So, I love this quilt. I made the top during a class with the awesome Vanessa hosted by the Kansas City Modern Quilt Guild. She was so wonderful and the class was wonderful. And then the top sat and sat and sat. 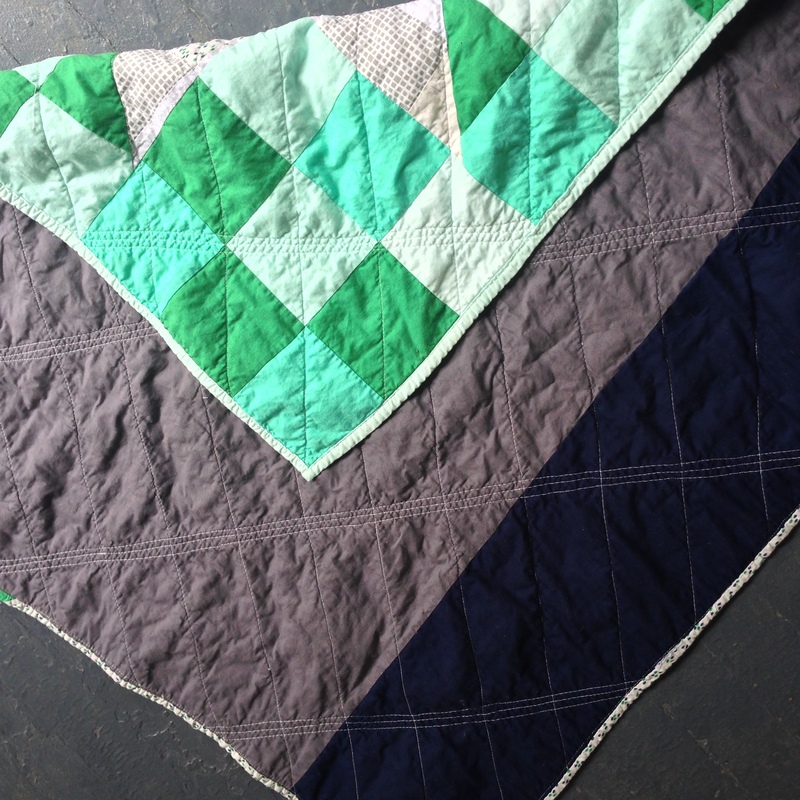 Once I got through all of my red and blue and aqua, I basted and quilted. And fell in love. 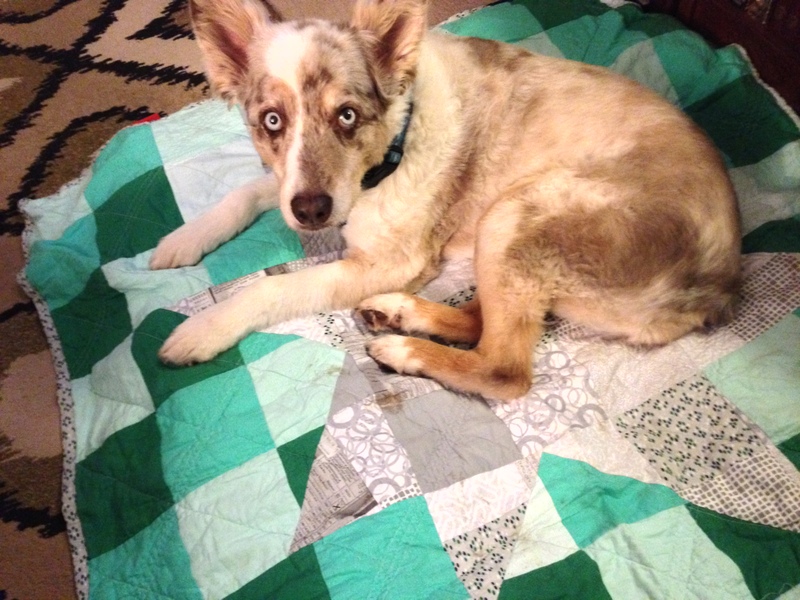 I ended up keeping this one as a little quilt for my sweet puppy. Her own little spot at home or on the road. And I still get to look at it every day! Here is something I have found – pattern designers know what they are doing. 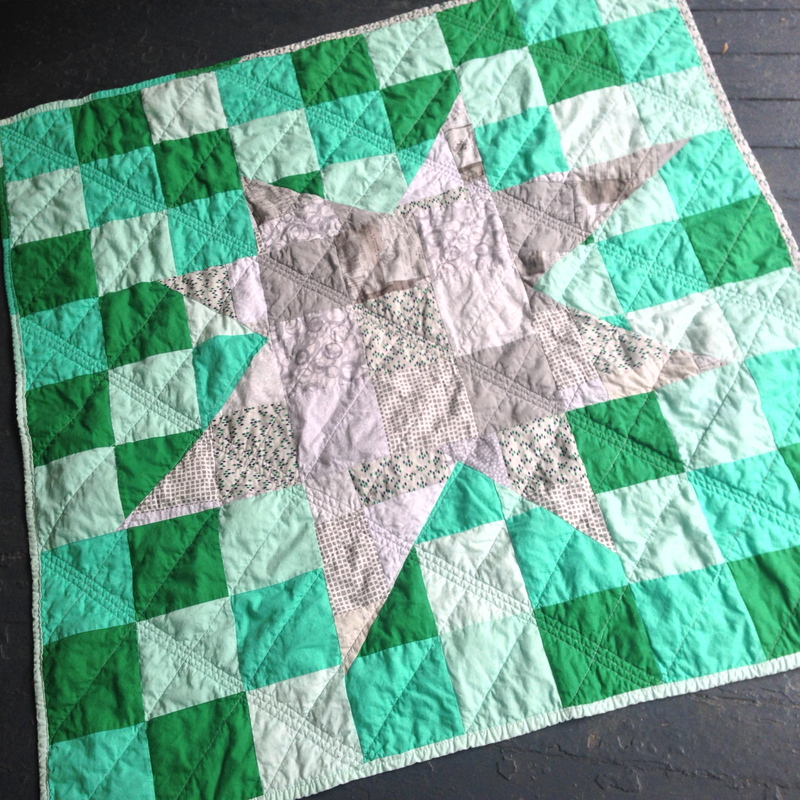 Usually when i make something from a pattern, it is pretty well darn universally liked. Imagine that? Some details – size is 45 x 45, binding is grey scrappy + scraps from the cool color stripe fabric, backing is kona navy and steel – two of my favorites. 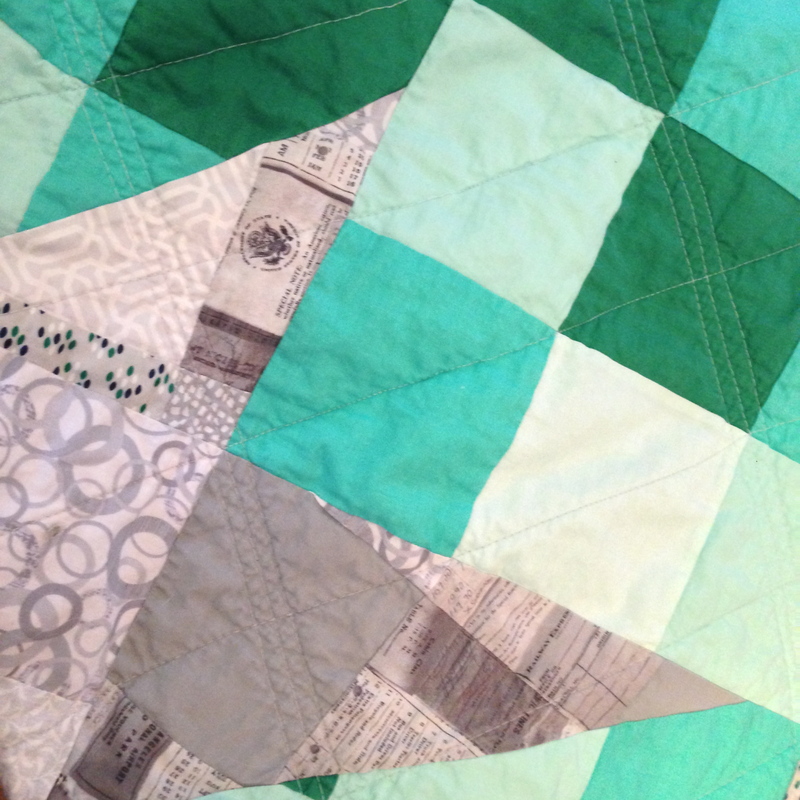 Linking up with Crazy Mom Quilts for Finish It Friday!